I have alot of enrollments to enter and I find that useing the tab, space bar and the first letter of what I need from the drop down boxes really shortens the time for me. I usually can enter the enrollment packet in about or less than 10 minutes. I love that I can take all these short cuts. myHeadStart.com has saved me a lot of time! Ruby M.
I have been using myHeadStart.com software from the Beginning. I used Hsfis v3.0 then moved to myHeadStart.com. I am very happy that myHeadStart.com has PIR build into it. When I was using Hsfis v3.0 I had to run reports just to verify the numbers for the PIR questions. myHeadStart.com has it build in & you can run it ever month to verify the numbers. Now when it's ready to upload it the PIR Website all the questions to PIR reflect what we are doing to help our families & funding source. That’s why myHeadStart.com is the best route to go if you want correct data. Jesse Z.
Hello, I work for Visiting Nurse Service of NY/Early Head Start Program. And we were in desperated need of another myHeadStart.com training. Finally, we recieved training from one of Cleverex's great trainers. Yvonne Bellamy was our Cleverex trainer. She was a blessing. She answered all of the questions we needed and she helped us to understand what we were not doing. We're so happy to have this training. Thanks so much! Laron J.
myHeadStart.com has been very helpful and interesting in accessing the information I needed to stay on top. To make sure the kids are updated on all medical services that are provided. This is my first time using myHeadStart.com and I have really enjoyed this application. I am still learning but it has been very helpful to me. Troshia M.
Hi myHeadStart.com Support Team, I just spoke with M. S., our Health/Nutrition Coordinator. She is sooooo very happy about the USDA capabilities of myHeadStart.com. It is saving so many of our staff time and effort!! Our cooks no longer need to add up columns of hard to read, handwritten numbers. It also saves time for Madi and our Financial Coordinator. In the past, they had to add up columns of numbers to double check addition. Now the computer does it all accurately! Thanks so much! Lynn H.
Hi myHeadStart.com Support Team, I just have to tell you that my staff are very happy with the alerts in myHeadStart.com. I just implemented that feature last week and everyone is delighted. Lynn H.
I have been working in myHeadStart.com for about two months. I had no idea how much of a powerhouse the system is. I cannot wait to go back and put everything to good use. Wonderful [2010 myHeadStart.com National] conference! Jena M.
Our agency's history with myHeadStart.com began in the days of HSFIS as a pilot. When myHeadStart.com was developed and offered,we went with it. The support has been outstanding. This includes listening to clients using the system regarding what additional features/capabilities they would like in the software. Clients see those recommendations implemented in updates released. This is one of the greatest benefits of working with the staff at myHeadStart.com. myHeadStart.com is a great software for client data tracking.The staff are always professional,knowledgable and reslove any issue that may arise.Thank you everyone at myHeadStart.com Jon R.
You are aware that Charles R. Drew, currently operating as Community Development Institute (CDI) previously utilized the ChildPlus Data Management System. However, we made a conscientious decision to switch to the myHeadStart.com System due to its superior data structure and business process logic. We also chose to use myHeadStart.com due to excellent recommendations we had received from other Head Start programs in regards to myHeadStart.com's Training and Technical Support Team. Not only have the recommendations been true, but for the past few years we have been extremely pleased with your courteous business approach, and the effectiveness of trainings and technical support that we have received. We are impressed with myHeadStart.com's understanding on complex Head Start issues e.g. 1- PIR, 2- ERSEA, 3- EPSDT, etc. We really appreciate the fact that myHeadStart.com automates processes that were previously done manually, such as the myHeadStart.com Alert System, PIR Generation, Prioritization, etc. Also, upon utilizing the myHeadStart.com System, we have verified its cost effectiveness. Darries G.
We are a very large Grantee Operated Program in San Diego, CA and our agency invested in and implemented the online myHeadStart.com system a couple of years ago and by doing so myHeadStart.com has allowed our organization to intregrate and streamline many of our Head Start processes for better efficiency and effectiveness. The investment in myHeadStart.com resulted in our agency achieving a compelling Return On Investment (ROI) by improved decision making, improved client satisfaction and improved productivity. I highly recommend myHeadStart.com. Frank Z.
RCMA is using myHeadStart.com for many areas, which include attendance tracking, immunization tracking and tracking services to families. We have made leaps and bounds in the area of tracking staff training and education. In the near future we plan on using myHeadStart.com to track our DCF requirements for maintaining our license. We like myHeadStart.com because it helps basically have one-stop tracking, our real challenge is ensurirng we have a good training plan for basic computer skills. We used HSFIS in the past and we love myHeadStart.com because of using the Web vice having to send downloads or access via a network. Ed D.
Our fresh take on integrated data capture and compliance assurance technology makes quality and compliance easy for everyone, from family service workers to coordinators to directors. myHeadStart.com/PCAP is the only data system built specifically for Head Start and Community Action agencies. We’re the #1 one-stop shop decision-support information system in the nation. Forget about costly training and unhappy employees. Our system standardizes operation so that everyone will know exactly what to do, and when. Happy, healthy teamwork is our team’s top priority. Interested hearing more about My Head Start? Enter your agency details below and you'll be contacted about what My Head Start software can do to simplify your agency's workflow! To help our users with a great experience using our software, we provide live help desk support and several forms of training workshops. Users can call our live help desk support from 8:00am – 5:30pm Monday – Friday by telephone (1-800-473-4780). Our all-star help desk support team will talk to you over the phone. Additionally, users can email our help desk at helpdesk@myHeadStart.com 24-7. Support ticket can also be entered in our software. All support tickets will be documented, updated with progress, and reviewed by the user real time. In-House Training: These training workshops are hosted at our office in Reston, Virginia, 15 minutes from the Washington Dulles International Airport and 30 minutes from downtown Washington DC. Cleverex Systems, Inc.
Reston, Virginia 20191 You can login to our support site to register for any of our in-house trainings. Regional Workshops: We regularly conduct training workshops at a number of different locations across the country. Login to our support site to register for any of the available regional workshops near your agency. 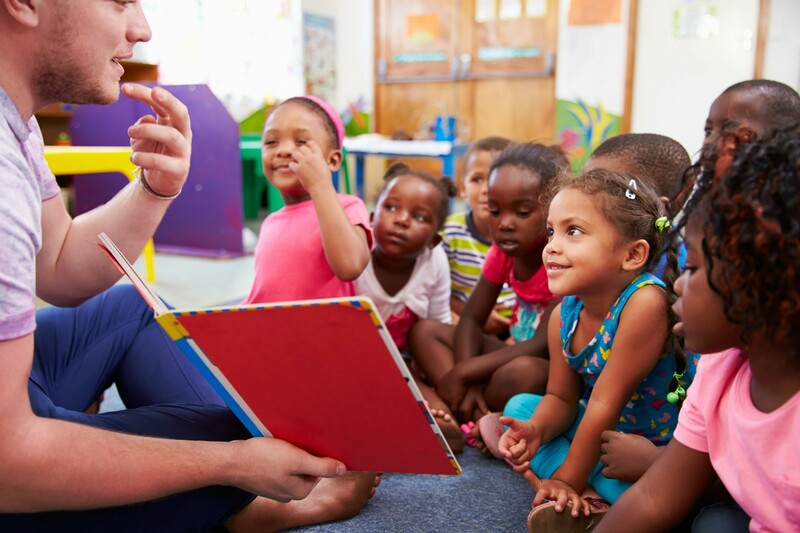 On-Site Training or Consultation: A Head Start agency can request a MyHeadStart training workshop be conducted at the agency’s location. This type of workshop is tailored to the agency’s requirements. The agency will pay for the trainer’s travel expenses. If you need to get a large number of users trained, the on-site workshops can be very cost effective. Contact us for details. Additionally, once becoming a MyHeadStart user agency, you will be able to access our on-line mini training series. These series typically focus on one topic and last 10 minutes to an hour.